Some of my art from 2011. I focused mainly on Internet art, also referred to as Netplasticism or—incorrectly— net.art (which is actually the name of a group of pioneers from 1994). Also see my art from 2012. Composition n , website + domain name. 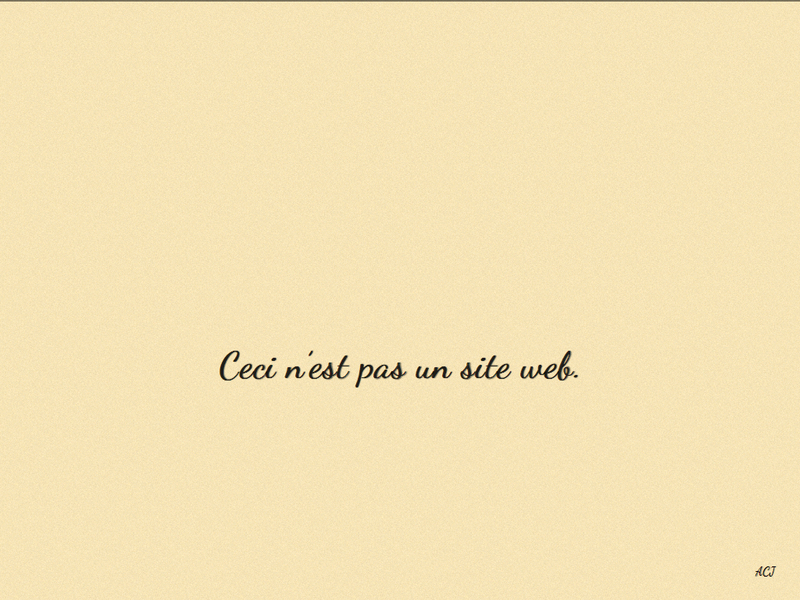 La trahison de l’Internet , website + domain name.